Use the SXSWeek® Timeline and Schedule to plan your SXSW Conference & Festivals experience from March 8-17 in Austin, Texas. 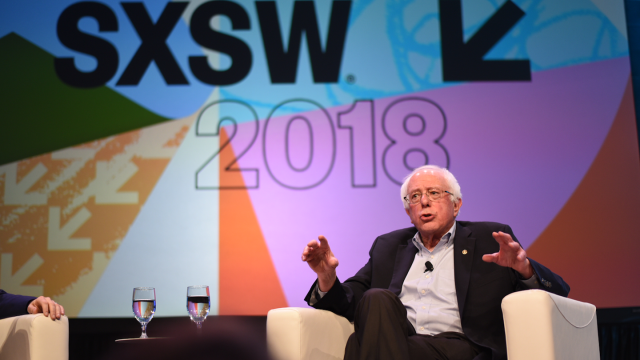 All confirmed programming for the SXSW Conference & Festivals – including Keynotes, Featured Speakers, films, showcases, exhibitions, awards, and more – can be found on the official SXSW Schedule. Filter by event type, venue, and time to build your customized schedule and discover what’s in store for the March event. Browse the 2019 SXSWeek® Timeline for a daily snapshot of programming broken down by time and event category. 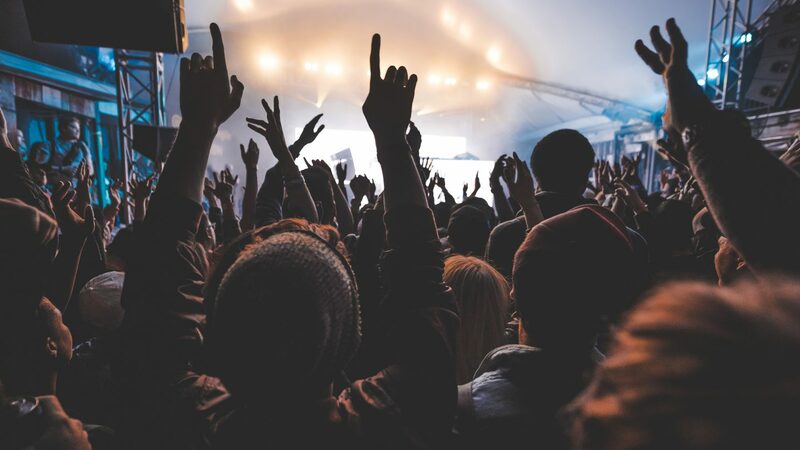 And before your dive into the full SXSW Schedule, read our tips below on how to find and add events to your own SX itinerary. Register to attend and book your hotel to join us for the 2019 event. Stay tuned to SXSW News as more programming is announced throughout the season and automatically updated on the online Schedule. 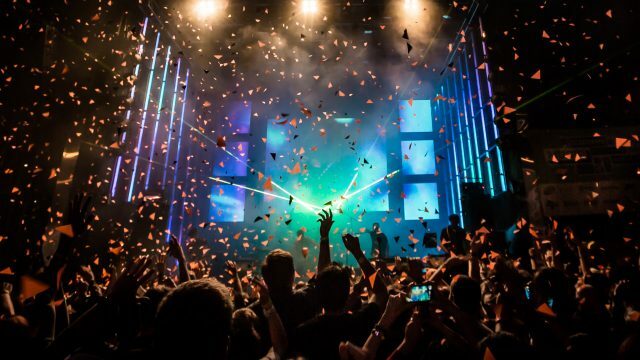 The online schedule provides a multitude of ways to filter SXSW events. From the SXSW Schedule homepage, browse programming by SXSW Conference Keynotes, Speakers, Sessions, Showcasing Artists, Film Screenings and more. For the bold explorers, select the Everything option. Within the schedule, you can click on the All Events dropdown to filter by Conference Tracks, Artists, Keynotes, Speakers, and Sessions. Click on the All Days dropdown to filter by each day of the SXSW event. You can also choose to browse events alphabetically by using the alphabet bar just under the dropdown filters. Add an event to your schedule by clicking the star next to the event’s name. An event that has already been added to your schedule will be denoted by a purple star. Additionally, you can view all events in your schedule by clicking the My Favorites tab located on the homepage or in the upper, right-hand dropdown on the online schedule. Star events of interest now and as the details become available, your personal schedule will be automatically updated. 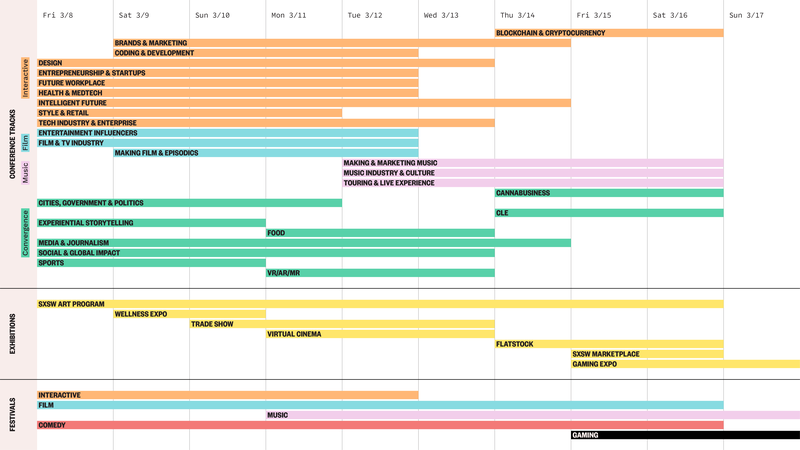 Explore the Schedule Help page for more details on the SXSW Schedule. Use the SXSWeek® Timeline to plan your SXSW Conference & Festivals experience from March 8-17 in Austin, Texas. Browse the weekly overview below and download the PDF as you get ready for your next adventure at SXSW. The Austin Convention Center is the hub of the SXSW Conference and Festivals; it is also the central location for SXSW activities such as Registration and the SXSW Trade Show.Hundreds of additional activities are hosted at nearby venues throughout the city – see the Getting Around page for details. 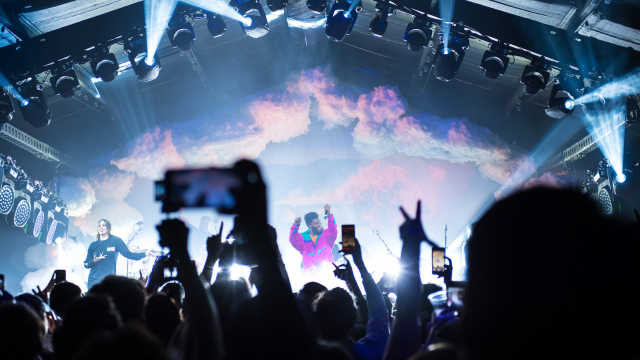 Head over to the 2019 SXSW Attendee Services Hub for registrant resources to help you navigate and access conference and festival events. 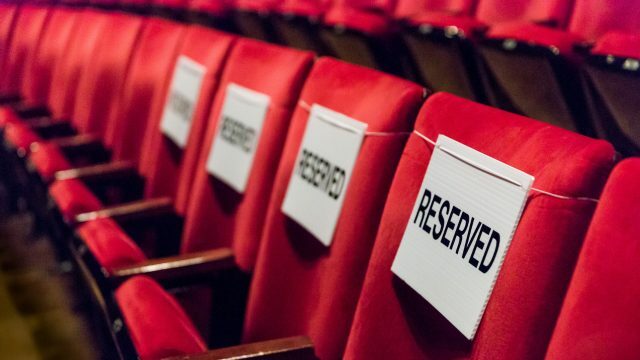 * = Requires additional ticket purchase to attend.